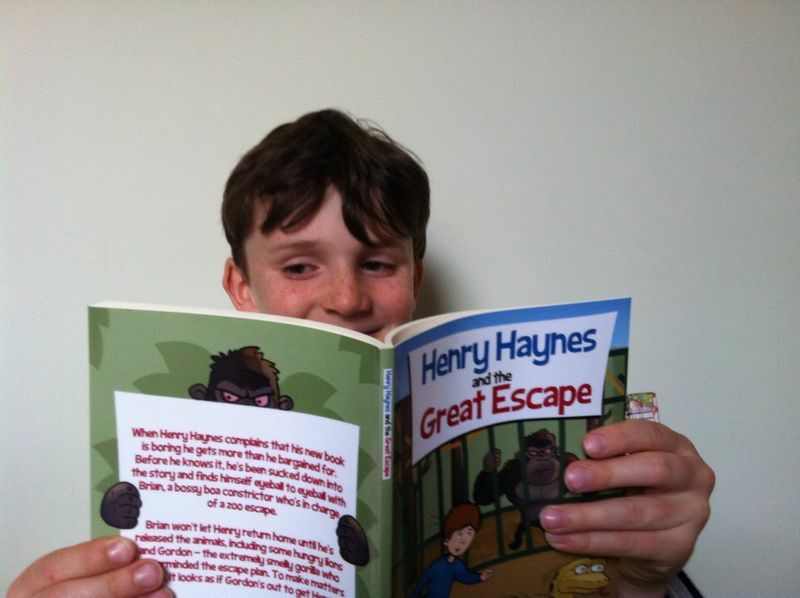 Henry Haynes and the Great Escape gets off to a flying start! 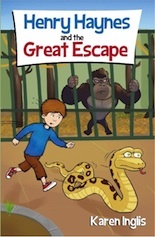 It’s just eight weeks since I released Henry Haynes and the Great Escape – my fast-paced chapter book for ages 6-8 about a boy who falls inside his library book after complaining that it’s boring. And I’m thrilled to report that I’m already well into my second box! This means that over 100 children have now either read or are currently reading or due to read Henry’s story. As with all of my books, what really heartens me about this is knowing that the imaginary world I created is being enjoyed and shared by so many children, just as I had hoped and dreamed that it would be. For a writer, there’s nothing to beat that feeling! Henry’s early journey to meet his first readers follows three school visits and two book signing events since publication. One book signing was held in Waterstones, Putney on 14 June and another at the delightful Wimbledon Books this Saturday, 21 June. This last event co-coincided with Wimbledon Village Fair. There was a great buzz all around the village and on the common – especially with Wimbledon tennis starting this week too. One little boy who bought Henry Haynes had already had his photo taken in another shop with one of the tennis stars! 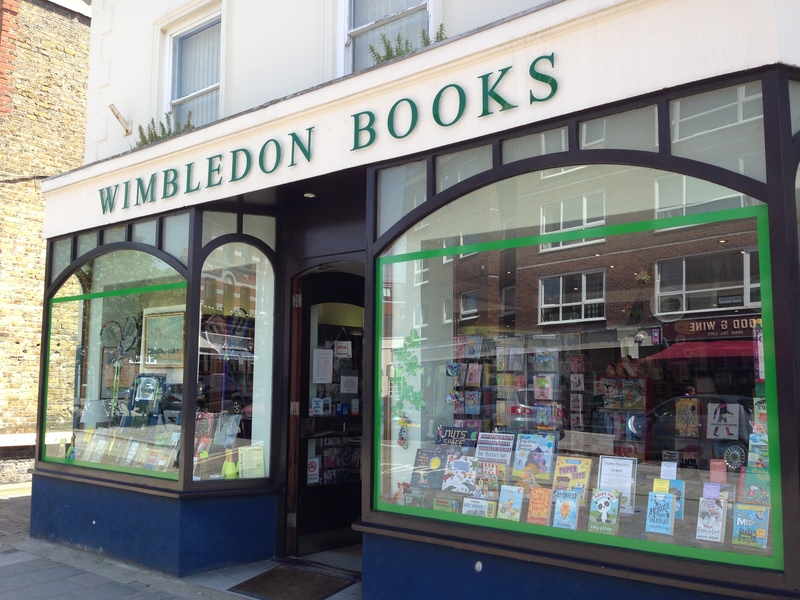 At Wimbledon Books – it was one of the hottest days of the year so I was glad to be by the open door! Henry escapes up to Leamington Spa! Prior to the signings I took Henry Haynes into three schools. One of these visits took me up to Milverton Primary in Leamington Spa – a delightful primary school attended by a friend’s daughter, Martha, who very kindly acted as my first beta (‘test’) reader back in December. The visit to Milverton Primary couldn’t have gone more smoothly and the children were an absolute delight. Here’s a picture of Sasha, one of Henry’s fans from Year 4 at Milverton. Thank you to Sasha and his parents for allowing me to use this photo! Early feedback and pre-publication nerves…. Asking for early feedback on your book while it’s still in manuscript form is always nerve-wracking, as any writer will tell you. And what makes it worse is the waiting, which is often when doubts start to bubble up. But people are busy and rarely able to read your work right away, so the waiting is something you just have to learn to live with. So when I emailed the manuscript of Henry Haynes and the Great Escape to Martha’s mother, I honestly didn’t expect to hear back for a few weeks, especially as it was in the lead-up to Christmas. In fact I didn’t even suggest an ideal turnaround time. Imagine, then, my delight, to receive an email back that very same evening to say Martha had refused to turn out the light until she had finished the story – and had loved it! She then insisted on reading it to her grandmother the following weekend! I should add that Martha was able to provide some really useful feedback to do with some of the characters’ names – and to point out where I’d made a mistake with who said and thought what 🙂 Thank you Martha! I’m looking forward to sharing Henry Haynes with more school children in coming weeks and months. Please do get in touch if you’d like me to visit your school – you can read more about my school visits here: I have four books which cover from Reception up to Year 4. 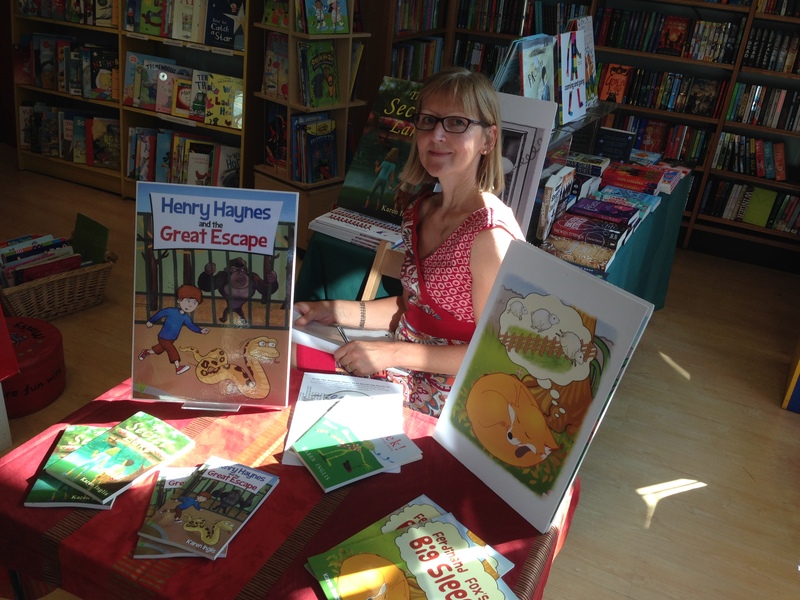 And if you’re looking for a summer read for your 6-8 year-old you can order your copy of Henry Haynes and the Great Escape online or from your local bookshop who should be able to get it in for you within a few days 🙂 In southwest London it’s stocked by Waterstones in Putney, Wimbledon Books, The Barnes Bookshop and Sheen Books. RRP is £4.99. This entry was posted in Ages 6-8, chapter books, Children's Books. Bookmark the permalink.